In the third edition of this top-selling book, John MacArthur challenges the seeker-sensitive, user-friendly, entertainment-oriented pragmatism that permeates the church today. In the late 1800s, Charles Spurgeon warned that the church was drifting away from the purity of the gospel, candy-coating God's Word rather than boldly proclaiming the truths of Scripture. As a result, Christianity's influence in nineteenth-century England was severely weakened. 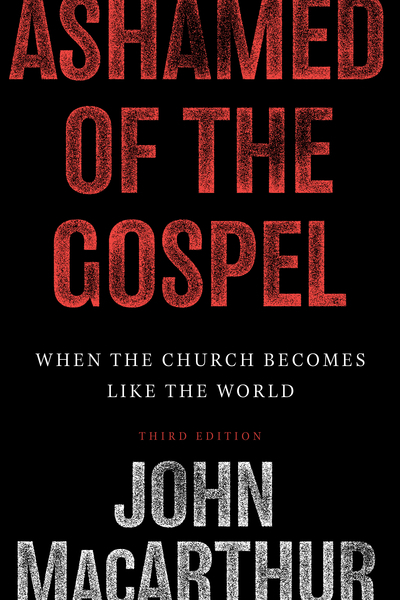 One hundred years later, John MacArthur, troubled by the seeker-sensitive movement and an emphasis on pragmatism within the church, sounded the same alarm with the first edition of Ashamed of the Gospel. In this newly revised and expanded edition, MacArthur gives an overview of developments in the seeker-sensitive movement since his book was first published in 1993. New material traces the line of pragmatic philosophy from the seeker-sensitive movement through the Emergent phenomenon, explaining why the latter is a philosophical heir of the former-and an even greater danger; chronicles the failure of pragmatic approaches to church growth; and emphasizes the importance of evangelicals solidly committed to biblical doctrine rising to positions of leadership.